It was very hard to decide whether I should go to Japan by myself this time to help my family temple again. My wife has been busy for her job. Kids are back to school now. I have unfinished business at Koloa. Then hurricane (Tropical Storm) was approaching to Hawaii. I surely felt guilty but I made decision to go at the last minutes. And now here I am in Joetsu. I am glad tropical storm seems to be weakening and my parents are very happy to have me. So I am now very grateful to many people who made this trip possible. Especially my wife pushed my back to go to Japan! Then she bought me some souvenirs including T-shirts to wear in Japan. But wait a moment! 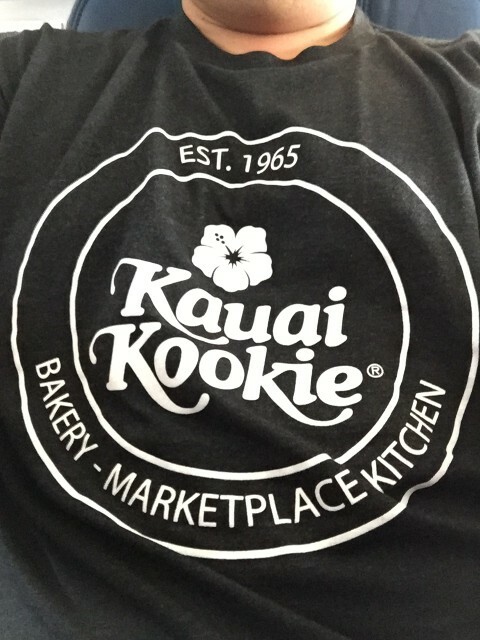 After wearing T-shirts here, I realized I might be advertizing Kauai Kookie just by wearing T-shirts. Also other souveniors from my wife are all Kauai Kookie goods and cookies! 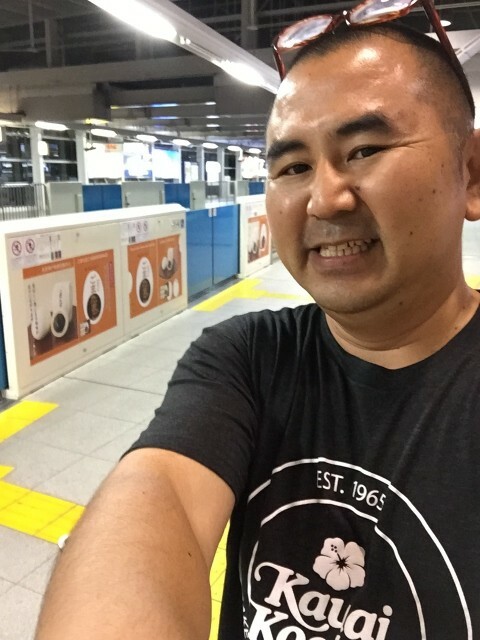 Of course, I am happy if I can be useful for the Kauai company, but I thought I should bring and wear Koloa Jodo Mission T-shirts next time! So far I tried to spend more energy for my website but I thought this kind of advertisement was easier and more natural. I am very impressed by my wife's dedication to the company since she is always thinking and talking how to contribute to the company. At the same time, I appreciated her dedication to the husband since she let me go! By the way, my dedication to the Koloa Jodo Mission is also pretty strong. Last night, I had some time for shopping, but everything I bought was for the temple! 2015 O-Bon has just finished since last Sunday, but I already started preparing next O-Bon from Japan yesterday!